Valentine's Day is something that always sneaks up on me. This year I've vowed to make it a little more fun for the kids, so I am prepared. I was hoping to have some crafty time with the kids, but yesterday was one of those days when you do a little bit of everything—run crucial errands (first communion outfit for C! ), family get together (more of that today) and additional shopping—so no crafting. Hopefully today will be the day. 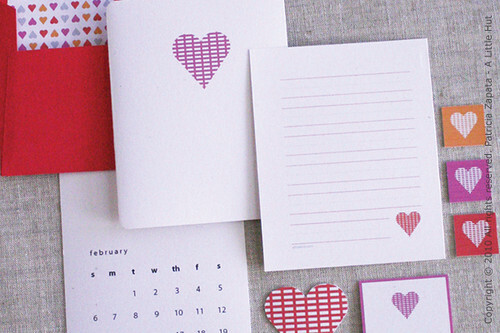 This is what we will be using... a new Valentine's Day set. Instead of creating a smaller set the way I've done in the past I wanted this to be a bit more substantial. I wanted the set to offer more creative possibilities with pieces that are multi-purpose. 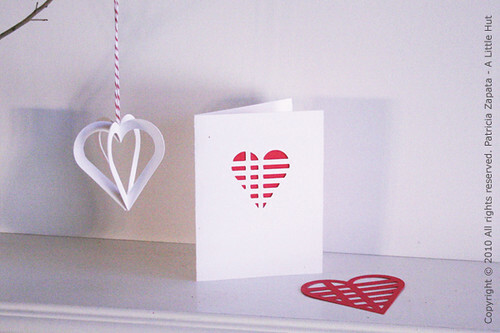 The hearts that are used to put together the ornament can also be used for card making or scrapbooking. The small gift cards can be used as gift tags or as mini-valentine's day cards. 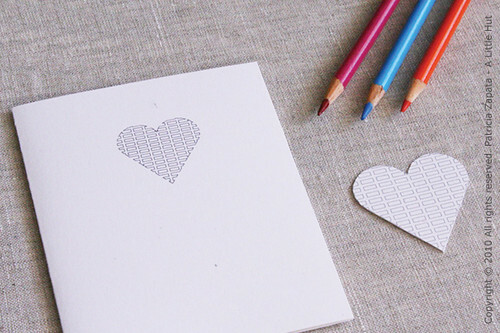 And the black and white hearts below can be left as is or colored in with markers or colored pencils. The Valentine's Day set is available on my site or at my Etsy shop. Now off to do some cooking for our family get together!